Since the inception of La Liga League 2017-18, Barcelona remains undefeated for first 33 matches. Hence they set a new record for longest winning and undefeated start in the history of La Liga League History. Team Barcelona have set a new La Liga record for the longest unbeaten start in league history. Moreover, they are also the highest number of winning La Liga League matches and they are on continuous winning strike since last 39 La Liga Matches. 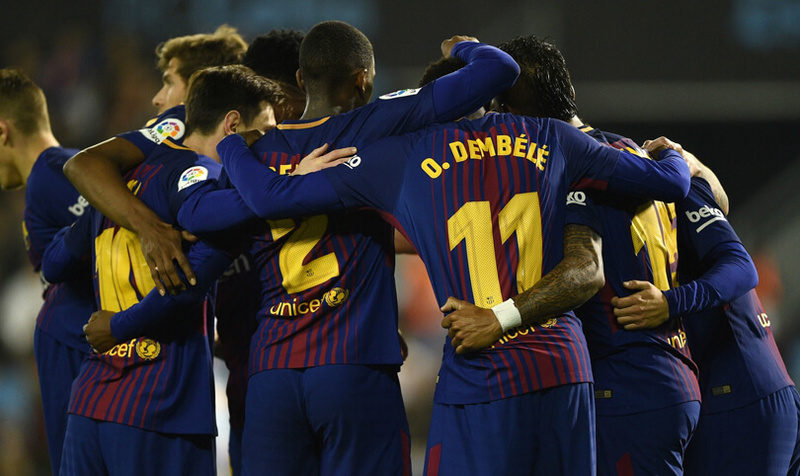 The Blaugrana drew 2-2 at Celta Vigo on Tuesday, as Ousmane Dembele and Paco Alcacer netted for the visitors. The draw took Barcelona’s unbeaten run to begin the 2017-18 season to 33 games, with Ernesto Valverde’s men winning 25 and drawing eight matches. At 33 games unbeaten, Barcelona surpassed previous record-holders Real Sociedad, who began the 1979-80 season with a run of 32 games without defeat. Valverde’s men have just five league games remaining as they look to become the first Liga side to ever go through an entire season undefeated. The biggest of those five tests will be the season’s second Clasico, with Real Madrid set to visit the Camp Nou on May 6.